Reniqua Allen laments that legal force hasn’t eliminated racial segregation. The problem, you see, is self-segregation. It turns out (and only the highly educated reader will be shocked at the revelation) that even when subject to laws forbidding formal discrimination, people often prefer to associate most closely with people who look and act like them. Most women like to associate with women, most men with men, most children with children, most attorneys with attorneys, most auto mechanics with auto mechanics, most intellectuals with intellectuals, most Christians with Christians, most whites with whites, blacks with blacks, Asians with Asians, and so on. In the canteen, white and black and Hispanic enlisted soldiers find their own race. On the battlefield, the whites and blacks and Hispanics find their own national brothers to fight the Russian Commies. In Independence Day, the whites and blacks and Hispanics and Russian Commies find their own species to fight the aliens. As David Brooks notes, we’re an amazingly un-diverse species. And that won’t change anytime soon. Why? It’s rooted in God’s creation pattern. God fashioned from Adam’s side a human like him (with minor, but striking, differences — Gen. 2:20). When Peter and John had been threatened by unbelieving Jews, they “went to their own company” (Ac. 4:23). Community consists of people with commonalities; that’s what makes them communities. Racism, defined as “a belief or doctrine that inherent differences among the various human races determine cultural or individual achievement, usually involving the idea that one’s own race is superior and has the right to rule others,” is nourished in the sin of pride. Jesus deplored the racism of many of the unbelieving Jews of his time (Lk. 3:8). The church itself is — or should be — a bastion against racism (Gal. 3:28). But desiring to befriend and unite with — to segregate with — people like one’s self isn’t racism: it’s humanity. To exclude non-Christians (of whatever race) from one’s closest circle is holy segregation (2 Cor. 6:14–18). To include non-Christians (of whatever race) in one’s closest circle is holy segregation. The community [!] where I reside most of the time, Mount Hermon, is home to a long-lived, prominent Christian camp and conference center of the same name. Often on the weekends I observe church and other Christian groups arriving: usually they’re Korean, or African-American, or Chinese, or senior citizens, or families. “Or,” not “and.” People like them. 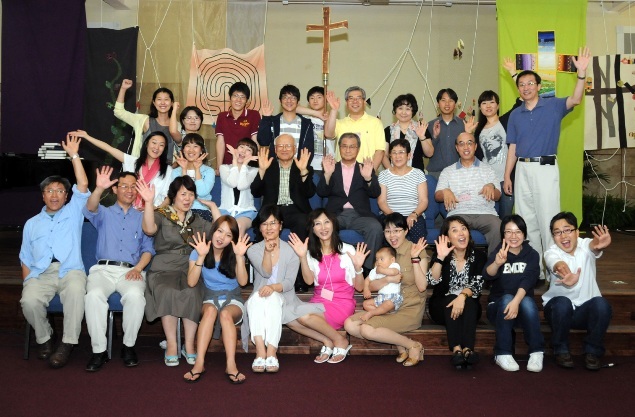 I have no fear that a single one of these groups would exclude any Christian from any other analogously distinctive group: I’m quite sure that the Koreans would open their arms to any Caucasian and the African-Americans would welcome with joy any Hispanic. The senior citizens might even allow some whippersnappers — if they behaved. But why would anyone want to join if he knew of a similar group of his own distinction? There are, perhaps, good reasons, but the reason most of us do not is not because we’re racist or sexist or ageist or whatever-ist, but is that we feel most at home with others of our own distinction. This isn’t backwater insularity; this is God’s creation ordinance. We prefer, all other things being equal, to associate with people like us. God apparently doesn’t mind this proclivity, since even in the New Testament, he recognizes separate Jewish Christian churches and Gentile Christian churches, with warnings to treat each other with utmost Christian respect and dignity (Gal. 2:9). This is no argument for racially or sexually or economically segregated churches. It’s a recognition that self-segregation is rooted in the (pre-Fall) human condition. It may seem silly to connect major state and federal policies to something as simple as a night on the town [that is, her desire that different races mingle more often socially], but our experiences are shaped not just by legalese and policy, but also by understanding and interacting with each other. She seems to recognize the limits of political coercion to shape community. Police officers can force Hispanic children to attend Asian schools, elite colleges to accept poor students, and landlords to accept lesbians; but they cannot force Asians to choose Hispanic friends, prep school grads to drink with Mississippi farm hands, or heterosexuals to “hang out with” lesbians. At least they’d better not try. When the state begins to allow utopian fantasies of community that war with God-created human nature to drive their policy, the only outcome can be chaos. Human nature will always get its revenge. Love, kindness, justice, and compassion are — and should be — fully compatible with self-segregation. But the coercive suppression of self-segregation is a war on the created order. She brings all this upon herself as she cultivates associations akin to interviewees from seedy HBO desert nudist specials and pseudo-intellectuals like Bill Maher and Andrew Sullivan? ALL that effort with no hope of a better payoff? Ambition should be made of stronger stuff.